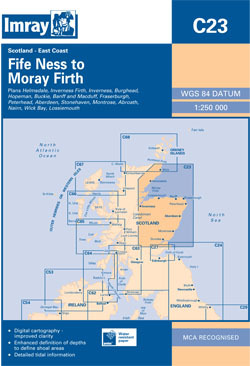 The east coast of Scotland from the Firth of Forth to the Moray Firth, also showing the Inverness Firth. Five-minute gridlines. Scale: 1 : 239,300. Larger scale plans of Helmsdale and Fraserburgh.